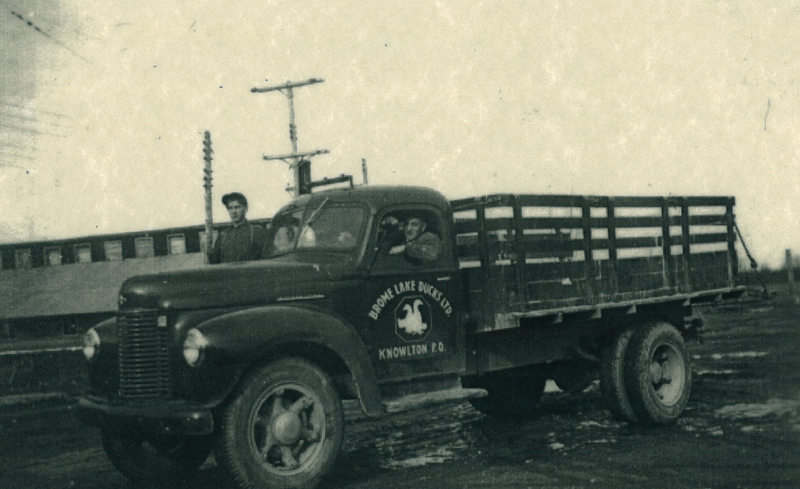 Founded by a New Yorker in 1912 on the western shore of Brome Lake, our company is the oldest Company specialized in the production of Pekin ducks in Canada. This species, imported into the United States in 1873, was chosen for the unique qualities of its tender and tasty meat. For over a century, we have continued to be the industry leader in North America, offering a range of more than thirty further processed products, in addition to the classic line of raw meat products. Proud to maintain the regional know-how, we are honoured to use farming practices that prioritize the birds’ quality of life. All our employees receive training to ensure the well-being of our birds. A professional in duck well-being regularly carries out audits to ensure the quality of life of our birds. Over the years, we have acquired knowledge and expertise that is unparalleled on Canadian territory. 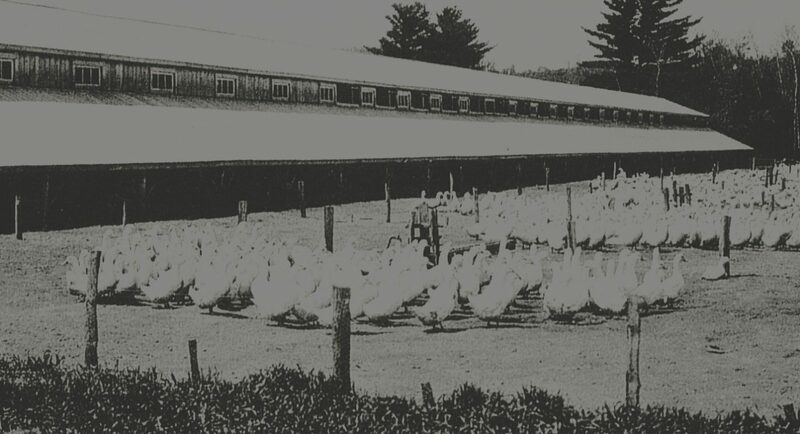 The attention with which we raise our ducks has allowed us to build an enviable reputation that connoisseurs recognize in each of our products. It is this quality, which our customers experience in every bite, that has led to the ever-increasing demand for our products. The growing trust for our branded products, which the consumers demonstrate, is a valuable testimony to the quality we have put into our products ever since the company’s beginnings. Thanks to this, production has gone from 25,000 when the company began, to more than 2 million since 2006. This demand has led us to invest in research and development. We are constantly on the lookout for new products. Thanks to this, we now offer prepared and ready-to-eat duck products, in addition to our line of raw meat products. And we are sure that more delights are yet to come!